Because factors like stress can have such a large impact on your cognitive abilities and nervous system, it's important to do everything you can to protect the two. 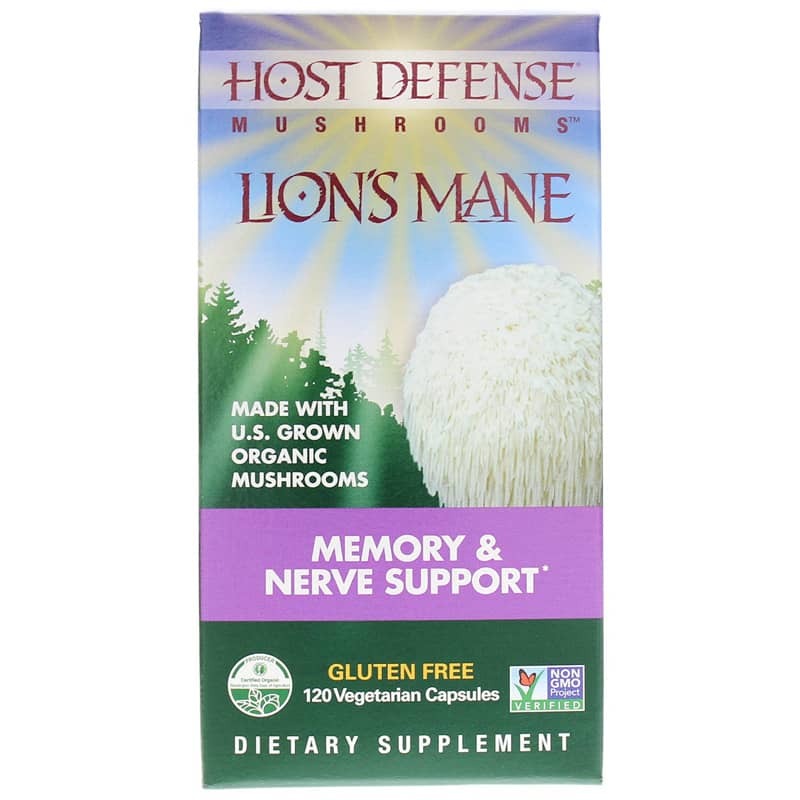 Fungi Perfecti offers a product called Host Defense Lion's Mane, an all-natural supplement for supporting optimal memory functions and nervous system health and function. The certified organic mycelium used in this product provide a full spectrum of nutrients, including polysaccharides, beta-glucans, glycoproteins, ergosterols, and other myco-nutrients that provide support for your natural immunity. 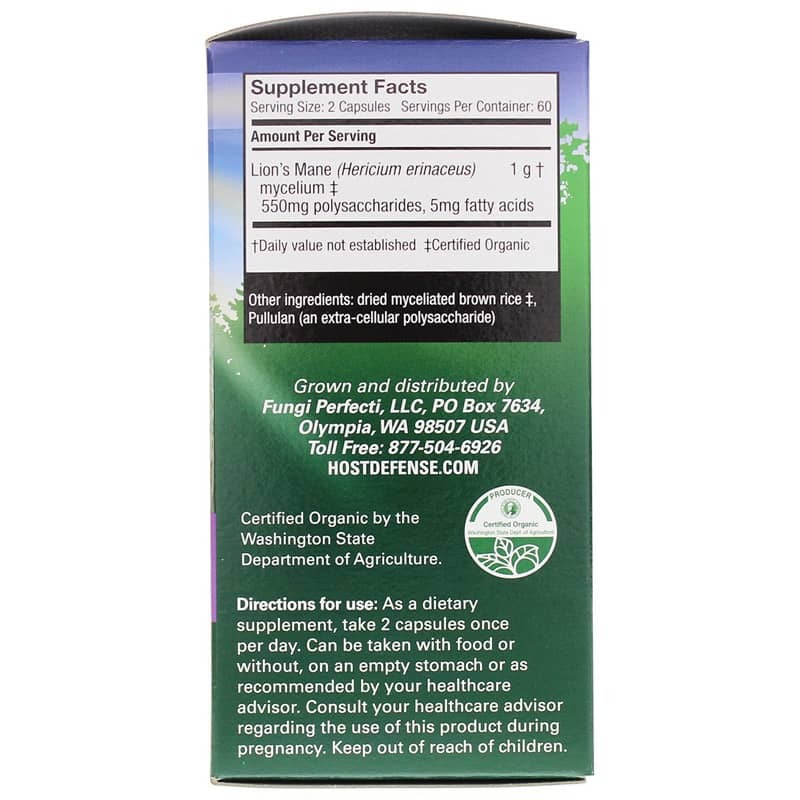 Fungi Perfecti's Host Defense Lion's Mane comes in an easy-to-swallow capsule form that only needs to be taken twice every day, either with or without food. Give it a try today, and see the difference it may be able to make for you. Order now! 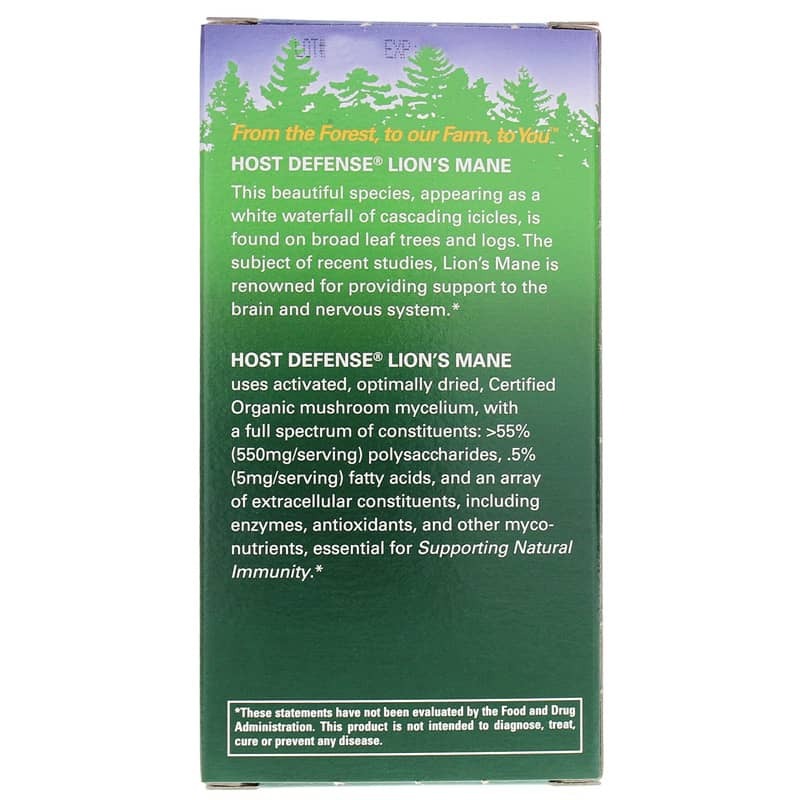 I got Host Defense Lions Mane. It is far too soon to know if it is helping, or will help but the product was exactly as described and priced well.